Varun Dhawan starrer Kalank released today and the film opened to good reviews. In an interview with a leading news agency, the actor talked about commercial pressure for Kalank. Read on. Varun Dhawan talked about the commercial pressure he has about this film. 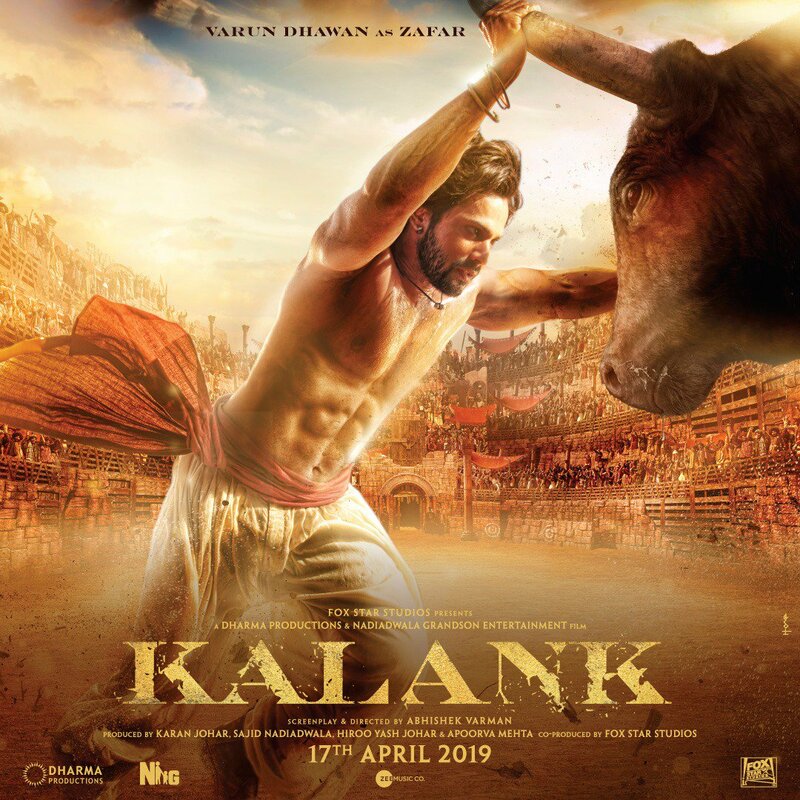 Today, Abhishek Varman's Kalank starring Varun Dhawan, Alia Bhatt, Madhuri Dixit, Sanjay Dutt, Aditya Roy Kapur and Sonakshi Sinha hit the silver screens. It is one of the most awaited films of 2019 and for the first time, these actors will be seen in a period film together. In an interview with PTI, Varun Dhawan talked about the commercial pressure he has about this film. Varun has given back-to-back hits in her career so far. Last year, he was seen in small budget films like October and Sui Dhaaga - Made in India which received a great response. However, Kalank is the most expensive film he has been a part of. The actor told PTI, "My last two films had really small budgets and the reach was bigger... There was no pressure of them doing well that much in monetary terms. In this film, there is commercial pressure. This is a film for which I had prepared a lot ... So I am more on the edge." Varun Dhawan added, "A lot of eyeballs are there on this film because it is an ensemble and all this attention is making me anxious. Everyone is going to watch and all I wanted to do is be good in it. Fear of failure makes me anxious." Kalank has opened to good reviews from the audience and the critics. People are loving the performances by all the six actors in it. This year, Varun Dhawan will also be seen in Remo D'Souza's dance film titled Street Dancer. He stars alongside Shraddha Kapoor in it. Are you planning to watch Kalank? Let us know in the comments below.